MENS CLASSIQUE PHYSIQUE- OPEN CLASS WITH HEIGHT -WEIGHT RESTRICTIONS. This category has a huge emphasis on Symmetry and narrow waist, and broad shoulders. These attributes along with conditioning and balance will be marked favorably. DISCOUNT FOR DISABLED COMPETITORS: All Disabled (You must have a Clearly Visible Disability or You Must have A Certified or Original Doctor’s Certificate to Validated your Disability) Competitors will get a Flat 25% off their Registration Charges. This means, you can choose to compete in either 1 or 3 Categories, you will get a “Total” of 25% off of your Total Registration Cost. This is applicable to Regionals and Grand Final Show, both. DISCOUNT FOR JUNIOR COMPETITORS: All Junior (You must be below the age of 23 on the DAY OF THE COMPETITION. This rule applies to any competition – Regional or Grand Finals – On the DAY of the competition – You must be below the age of 23 Years) Competitors will get a Flat TOTAL 10% off their Registration Charges. This means, you can choose to compete in either 1 or 3 Categories, you will get a “Total” of 10% off of your Total Registration Cost. This is applicable to Regionals and Grand Final Show, both. All Registrations for Juniors & Disabled Will need to be done Off Line. Please contact anyone from Boss Classic Team, and we will be more than glad to help you with the entire process. •	You are REQUIRED TO MEET WEIGHT RESTRICTIONS FOR YOUR HEIGHT – SEE BELOW WHAT WEIGHT YOU WILL NEED TO BE AT THE WEIGHING IN AS PER YOUR HEIGHT. •	You need to have a pleasant overall balanced Physique – A strong emphasis will be given to this aspect. •	This category is very much on the lines of Old School Body Building and the physiques of the likes of Frank Zane and Brian Buchanan. •	You need to have clear and well defined abs. This will be marked favorably. However, the “Genetic” Make up of your abs will NOT GO AGAINST YOU. •	You will be marked down significantly if you have a thick waist, especially if its protruding out (sticking out). •	Having good amount of muscle size will also be marked favorably. •	You will also be marked favorably for Vascularity. •	Your Overall Leanness and Conditioning will also be marked favorably. •	Having Well Rounded Shoulders, Wide Back, Good Obliques, Good Legs, and balanced physique will be marked favorably. 1. You WILL be marked on your Posing. 2. If you are selected in the Top 6 of your class, you WILL be required to do an individual Posing routine of 1 Minute or Under. 3. 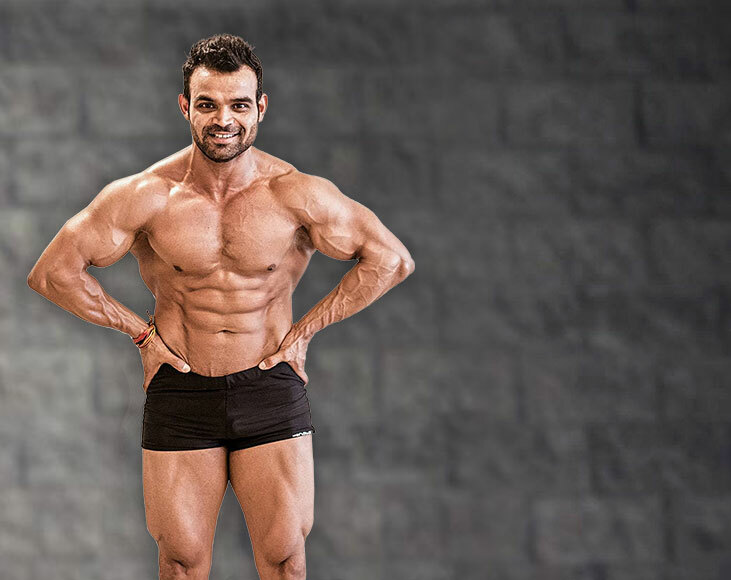 In the Individual Posing Routine, you can do any kind of posing routine. However, we strongly recommend you NOT to hit the traditional Most Muscular Pose of Body Building. Rest, you can be as creative as you like with your posing. 4. You will be judged at ALL TIMES WHEN YOU ARE ON STAGE. What this means, even if you are standing at the back of the stage, the judges WILL BE WATCHING YOU. If you slack off, do something silly or act plain lazy, you WILL BE MARKED DOWN. Our advice to you would be is, STAY SWITCHED ON AT ALL TIMES. 5. Please bring your Posing music in a CD & a USB. You will need to provide this to the backstage Marshalls, if you make it to the Final. 6. Your Individual Posing Routine WILL BE MARKED. 7: Your favourite classic physique pose (Bodybuilding Most Muscular Pose Is Not Allowed). •	You will come on stage in a Numerical Order as per your Posing Trunk Number. •	When you get on stage, please stand on the marked White Line (The Stage Marshalls will guide you with this). •	When you are on stage at the start, face the judges in a Front Relaxed Pose – Exactly the Same as it’s done in Bodybuilding. •	The Judges will call your Trunk Number, and you will be required to step forward and line up on the White line in a Numeric Order – Stage Marshalls will guide you with this. 1. Front Relaxed Facing the Judges. 2. Quarter Turn to The Right. 3. Quarter Turn to The Right, facing the back of the stage. 4. Quarter Turn to The Right. 5. Quarter Turn to The Right, facing the Judges once again. •	Once the above is done, the judges might call you back to the front line, and move you around, and do the comparisons. •	Once the judges have finished comparisons, and tallied up the scores, you will be asked to leave the stage. •	The official judging will conclude with this. •	Posing Trunks for this category need to be like Tight Fitting Swimming Trunks. Trunks need to be Black in Color. 2. Over 5’.4”, Upto and Including 5’.5” Upto and Including 175lbs. 3. Over 5’.5”, Upto and Including 5’.6” Upto and Including 180lbs. 4. Over 5’.6”, Upto and Including 5’.7” Upto and Including 185lbs. 5. Over 5’.7”, Upto and Including 5’.8” Upto and Including 192lbs. 6. Over 5’.8”, Upto and Including 5’.9” Upto and Including 200lbs. 9. Over 5’.11”, Upto and Including 6’.0” Upto and Including 222lbs. 14. Over 6’.4”, Upto and Including 6’.5” Upto and Including 262lbs.